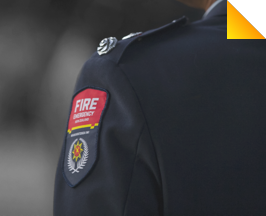 Your input’s been critical in shaping our next steps to make Fire and Emergency a safe, great place to work. We all have a role to play – and here’s how we’ll make it happen. 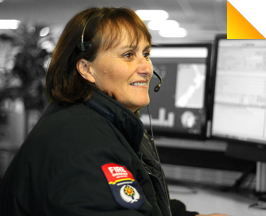 Our organisation is full of dedicated and incredible people who deal with major incidents every day. Now it’s the person in the mirror, and the people next to us, we need to focus on. We wanted to shine the light on creating a positive work culture from day one of our new organisation. We started searching, listening and taking action, and we’ve made good progress in the creation of a truly positive workplace culture – but there’s much more to be done. One of the biggest things was to front up to our problem with bullying and harassment. There are issues, and we wanted to fully understand and solve them, so we commissioned an independent Positive Workplace Culture Review. This is our next step on that journey – an Action Plan and Timeline that map out the busy road ahead. 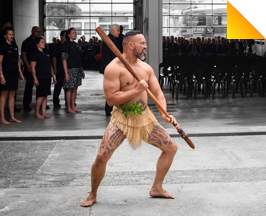 We expect all of our people to sign up for this, and stay committed for the long haul, because when we help, include and respect each other, we’re in a better place to protect our country, our iwi, our communities, our whanau and each other. We will provide our people with support to do this, but we want each and every one of our personnel to commit, change and expect more of themselves and each other. So this is our line in the sand. Bullying and harassment have no place, not in our place. We’ll educate and support, but we will also hold people to account. This is our moment to create a place where everyone is genuinely included, welcome and safe. We must be the trusted organisation our communities deserve. Our people are key to this and we are committed to ensure that we engage with them every step of the way. It’s time to get started. We’ve already started our journey to creating a positive work culture. Here’s some of the work that is already under way, or now in place. We have been working to develop a new long term strategic framework, which will include our new vision, outcomes, strategic priorities, values and operating principles. We’re developing strong and meaningful values. 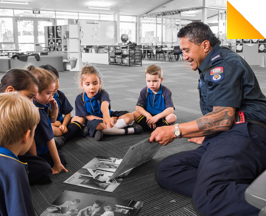 Our strategy received Board approval in June 2018 and creates a vision for how we continue to build a respectful, inclusive and diverse Fire and Emergency. An operational women’s network has been established to support and grow the talent of our operational women. 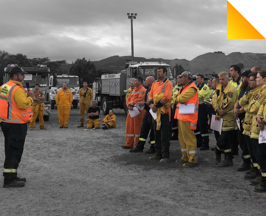 We are extending the Afi Pasefika network across Fire and Emergency for safer Pacific communities in New Zealand. We’ve been building our suite of leadership development opportunities, with more to follow. We are drafting a strategic implementation plan so we can deliver on our commitment to working with tangata whenua for safer communities. We now have a Volunteerism Strategy to sustain, support and grow our volunteer base across the country. The People Strategy is being developed with help from people across our organisation. 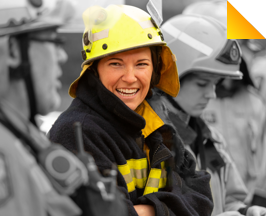 Fire and Emergency is investing in learning tools to support people’s growth, development and innovation. We’re setting up a dedicated behaviours and conduct office (to be named) to develop and promote ethical behaviour and benchmarks. This will be a clear measurement of the standards we hold each other to, and the way we stay accountable. The office will have an education focus and take a supportive approach, so we can bring these standards to life with energy and conviction. Values bind us together. They’re the clearest signpost of what we believe in and how we work together. As a new organisation, we’re developing strong, meaningful values that acknowledge the demanding work we tackle, and the absolute need for us to all be on the same page, delivering on what our communities deserve. A single Code of Behaviour means everyone in our organisation will be clear about what great behaviour looks like, and what unwanted behaviour looks like. It’s about having one explicit, binding code so we all understand the behaviour standards that will help make this an inclusive, respectful, safe place to work. We ask a lot of our people to work in challenging conditions, so it’s essential we genuinely support each other to remain safe, resilient and well. We’re doing a stocktake of all our support channels, to ensure we’re delivering effective support from the right people at every level, because we’re stronger together. He waka eke noa (everybody in one canoe with no exception). We all understand the value of effective leadership, but we need to make sure our leaders are supported and trained to build a truly respectful and inclusive workplace. We all have a role to play, but leaders especially must live and champion a culture where bullying and harassment is not tolerated – so we’re reviewing our leadership frameworks and tools to make them more relevant and effective. This is a priority we’re determined to get right. We need a transparent process that is easy to access, fair, trusted – and moves quickly but meticulously. We’re creating a project team and engaging with unions, associations and our staff to design our complaints process. In the meantime, we’ll look at what short-term improvements can be made to create a central complaints point. All relevant policies and procedures are coming under the microscope to ensure they address bullying and harassment appropriately. If they don’t measure up, they’ll be revised or discarded, with new policies and procedures created where needed. Again, we will do this with full engagement with our people, and their input is vital. Once these are finalised we will provide our people with support and training so they understand what’s expected of them. All 33 recommendations from the Positive Workplace Culture Review were accepted and we’re now deep in the process of analysing the recommendations and building a programme to make things happen. We’re mapping what’s already in play, and where we need to build new programmes. A key part of all this is keeping our people and our communities informed and involved, every step of the way. You’ll find full details and timings of the Action Plan here – what we’re doing, and why it’s important. It’s important to remember this is a starting point. We’ve identified eight priority areas here, and they will be followed soon by consultation and full programme details. 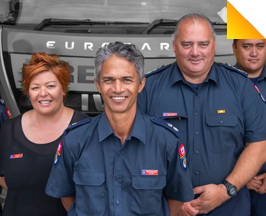 Kerry Gregory recently took up his position as Deputy Chief Executive – Service Delivery, a role that takes him to every corner of New Zealand, working with our dedicated people keeping New Zealanders safe. He sees first-hand the vital importance of a positive workplace culture. There’s a tight family connection at the Waimangaroa Brigade on the West Coast, and it started when an eleven-year-old volunteered as a cadet. When Carmen Greenland turned 11, her mum ‘gently’ suggested she needed an after-school job or hobby. 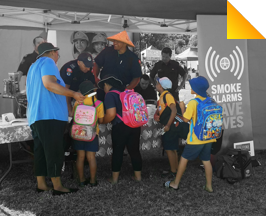 When Roy Breeze, Area Commander – Waikato, saw the multi-cultural growth in his local Hamilton communities, he decided something had to be done to ensure important safety messages were being understood and acted on. The Chinese population in particular had grown at a great rate. While we’re setting up the interim complaints process, please seek the following support immediately, if you feel you’re being bullied or harassed. If you feel comfortable, talk to your manager. If not, please talk to the Safety and Wellbeing Team, your local representative from the Women’s Network, as well as unions and associations. Talk to someone you trust – this could be your manager, a peer support person, or a Safety, Health and Wellbeing Adviser in your region. We also have external, independent, confidential counselling and support services available for all personnel and immediate families, at no cost. Our policies and procedures relating to bullying and harassment must provide sufficient detail for every single person to understand expectations and responsibilities. We need to ensure we provide comprehensive guidelines that meet the State Services Commission’s Standards of Integrity and Conduct – being fair, impartial, responsible, and trustworthy. Participate in reviewing policies and procedures as they are revised or developed. Identify what policies and procedures need to be revised or discontinued, and what new policies and procedures are needed. Plan this work as part of the full programme plan. 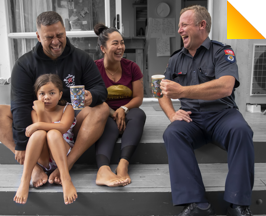 By committing to work with tangata whenua, we contribute to a safer environment not only for Māori but for all New Zealand communities. A strategy is being developed to help us achieve this. 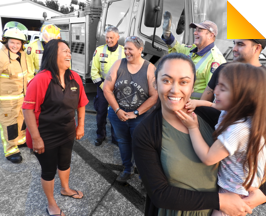 Fire and Emergency’s Māori Liaison team continues to lead our engagement with Māori communities at national, regional and local events. We also support our people to learn te reo, understand tikanga with Marae visits, pōwhiri and working at Te Matitini and Waitangi each year. 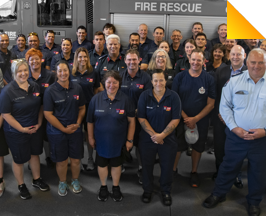 The Afi Pasefika firefighter’s network started in 2003, after recognising the importance of reaching our Pasefika community within New Zealand. 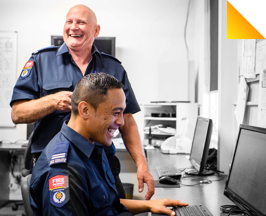 There are now over 80 Afi Pasefika members in Fire and Emergency across New Zealand including Communication Centres, NHQ and regional support staff. 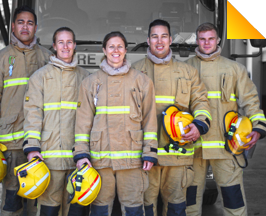 We have established three main groups in Auckland, Wellington and Christchurch, with a smaller number of Pasefika firefighters throughout provincial New Zealand. Fire and Emergency’s Volunteerism Strategy will help us better sustain and support our volunteers. The strategy acknowledges the role of our volunteers and upholds our commitment to volunteers and volunteerism. It explains why a strong volunteering culture and an effective model for volunteerism are critical for effective services and stronger, more resilient communities. We are committed to the following principles, which will guide the decisions and actions of everyone, and against which we will hold each other accountable. Recognise volunteers, their employers and families, as well as their contributions. Operate with mutual trust and respect. Build an environment that enables volunteerism to thrive. What you walk past, you condone. 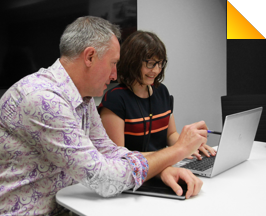 Kerry Gregory recently took up his position as Deputy Chief Executive – Service Delivery, a role that takes him to every corner of New Zealand, working with our dedicated people keeping Kiwis safe. He sees first-hand the vital importance of a positive workplace culture. “Every day our people are exposed to massive challenges and stresses. Fire and Emergency is full of passionate people doing extraordinary things, but we need to put that same passion into respecting and keeping each other safe as well. Nobody in our organisation should carry additional stresses due to a lack of respect and inclusion,” says Kerry. Kerry knows leaders have a critical role to play in the long-term cultural change and attitudinal shift we’re all embarking on – and he’s starting with being clear about his own expectations of himself. He believes everyone has a basic right to come into an environment and feel safe, respected and included, and their contribution valued. Even in the high pressure environment many of our people work in, he is pushing for people to release tension in the right way. He acknowledges not everyone has the courage, for a number of reasons, to speak up for themselves. He urges others to have a voice for those who feel they have to be silent. “Don’t be a bystander. Call out bad behaviour in a respectful way. There’s an old saying in Fire and Emergency that’s as true today as it ever was – “What you walk past, you condone.” Stand up for what’s right, even if it’s not directly affecting you. Your support will give others courage to speak out, change behaviours and make us all stronger. 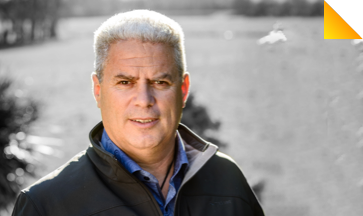 “In Hamilton, some suburbs have up to 13% of the public who speak Mandarin as their first language, and there are a lot of businesses and developers in the Waikato that are run by Chinese people,” said Roy. So Roy decided to step up and learn Mandarin, to better engage with the Chinese community in their own language, and ensure fire and emergency safety messages were clearly understood. “I also wanted to see if I could learn something new, and test myself in my old age,” laughed Roy. By learning the language, Roy also developed a greater appreciation of the culture. 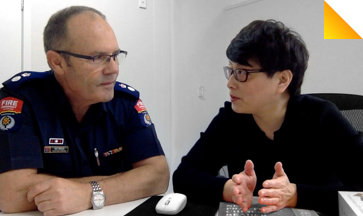 Roy has been working with Ying to develop text and audio instructions for Chinese communities, via her multimedia networks, to help them dial the emergency services. They will also be looking at how to translate fire-safety education packages such as the home-safety information. 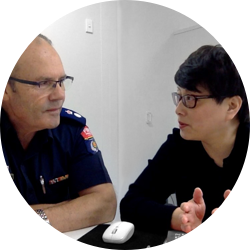 “Mandarin is one of the most common languages in the world and Fire and Emergency needs to support a growing community in New Zealand, the same as we support other ethnic and at-risk groups. “The more we learn about other cultures and ethnic groups, the better we can protect and build resilience with all members of our communities,” says Roy. We’re implementing our new organisation’s ‘Leadership Framework’ and have been delivering leadership programmes for different levels of leaders across our organisation. In 2018, we launched our Strategic Leadership Programme and piloted the new Incident and Leadership Development Programme, which focuses on building incident management and leadership skills. We’ve run Volunteer Leadership Development modules in a number of our regions, and are extending this to the rest of the country this year. 2019 will also see the launch of our new Role Transition programme for those moving into a Station Officer role, which is an operational management role. All of our leadership programmes are supported by our Leadership, Management and Personal Effectiveness online resource Mind Tools. In addition to these programmes, we partner with external leadership development organisations and management courses for our operational officers and leaders. We also support the United Fire Brigades’ Association on programmes that they deliver. As well as planning for the priorities above, we need to take time to agree how we’re going to respond to all the recommendations in the report. We need to identify all the activities and deliverables required across policy, procedure, processes, training, education, and engagement. We need to understand what is involved in producing each distinct piece of work, who needs to be included, and how we engage with everyone in our organisation and stakeholders. We need to define the benefits we expect from this work, know what success looks like, and understand how we will measure that success. Complete full analysis of the recommendations. Define all projects, initiatives, and deliverables required to implement our response to the recommendations. Identify and plan our success measures and evaluation framework. Identify the resources and services required to deliver the programme. 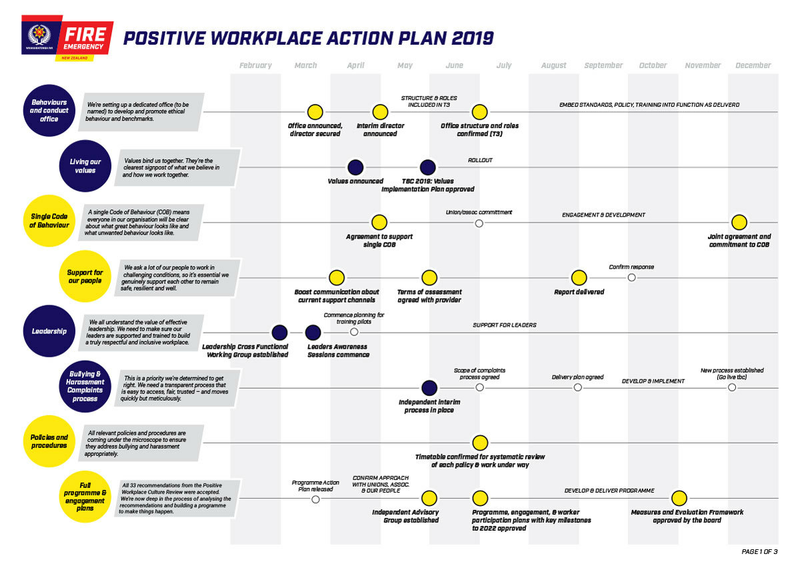 Plan how we will productively and meaningfully engage with our people, and how we will work with our unions, associations, sector partners, and our communities. Establish an Independent Advisory Panel to provide assurance to the ELT as initiatives developed. Tell us the key recommendations in the report you’d like us to address. Tell us your thoughts and ideas on how we can grow a positive workplace culture. Tell us the best ways to get your input and keep you informed. Support your colleagues, union or association to get involved. Nothing is more important than our people. He waka eke noa (everybody in one canoe with no exception). All workplaces can be stressful, so it’s important we look after each other and ourselves. The emotional toll that emergency response can take and the uncertainty while our organisation goes through change can lower our resilience. We need to make sure we all have the right support to thrive and be respectful and inclusive. Make sure everyone knows where they can get support now. Assess our existing support channels to make sure they work as part of a cohesive network supporting everyone dealing with unwanted behaviour in the workplace. Include culturally appropriate support options (e.g. Whānau Ora). Understand how we can support our people to stand up when they see poor behaviours. Make sure we have the right support, from the right people, at the right time. Make sure there is support for our people experiencing change. Let us know your thoughts on our existing support services. What works well and what could we do differently? Tell us what you have seen work well elsewhere. We must be able to address issues and complaints about bullying and harassment in a way that’s timely, fair, and consistent. We need to ensure that our process is accessible, fair and trusted by our people, and supports cultural preferences (e.g. Tikanga Māori). Our process needs to enable early intervention to make sure we’re dealing with things quickly and in the best way possible. Identify what short term improvements can be made with assistance of independent expertise and establish an interim process. Establish a project team to develop a long term solution for an effective, fair, and transparent complaints process. Continue to work with unions, associations, employee networks, and personnel throughout development to ensure the process meets everyone’s needs. Educate and coach people who are handling complaints and ensure everyone is clear of the role and responsibilities. Tell us what is important to you in a complaints process. Let us know where existing processes can be improved so we can apply those learnings to the new process. What has worked well in other places? What help, support or training might you need? Access to Beacon involves a one-off validation process to confirm you are part of Fire and Emergency. What do you think makes a Positive Workplace Culture? Head to the Beacon website, then click the Challenge Board and comment on the ‘Respect and Inclusion’ challenge. 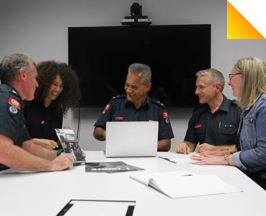 Building a respectful, inclusive and highly skilled workforce representative of the communities we serve and work alongside, will ensure that we have the right people and organisational capability to operate in a strategic and agile way to enhance wellbeing and community resilience. Implementation of programme activities is underway and will encompass evaluation and reporting, communications, policy and process review, championing and growing networks, promoting health and wellbeing, building capability and cultural intelligence and supporting our disabled workforce and communities. strengthening our foundations: policy, process, governance and monitoring. The office will focus on bringing a positive workplace culture to life. It will develop and promote ethical workplace conduct, behaviour, and professional standards through strategic leadership and accountability. All the policies, processes, training and education we’re putting in place to build a positive culture, will be embedded in the office. It will establish systems at all levels and across all positions to ensure we’re all held accountable for our conduct and behaviour. Establish the office and appoint a director to lead the development of the function. Align the development of the office and establishment of the roles within it with the operating model structure and roles processes and consultation. Have your say on the structure and roles of the office during Tranche 3 consultation. 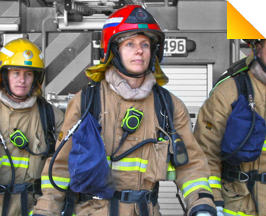 The Women in Fire and Emergency New Zealand (WFENZ) network was formally established in 2016 to identify, support and grow the talent of our operational women. Through WFENZ, we connected with over 460 women in operational roles (approximately a quarter), including both volunteers and career staff. This gave us an insight into the perspectives and experiences of our frontline women – the challenges and issues they face, and the things that work well. As a result of this engagement, we developed a Regional Women’s Advisory Network (RWAN) in each of the five regions. These RWANs are closely connected to our women on the ground, their regional leaders and our National Women’s Development team. Their insights are influencing our priorities in creating an inclusive workplace culture and, more specifically, helping to establish priorities for improving the recruitment, retention and development of women across the organisation. Our values lay the foundation for everything we do. They bind us together, articulating what we believe in and how we work together to keep each other and our communities safe. Values provide an organisation wide yardstick so we know what’s expected of us. 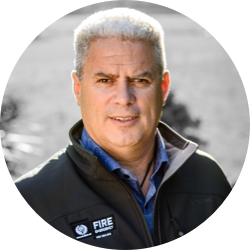 Our values will be incorporated into all aspects of how we connect with Fire and Emergency. We are each accountable. Develop a plan for embedding our agreed values into everything we do. Confirm support for our values from unions and associations. Develop a plan for a soft launch and roll-out of our values as part of the operating model design and delivery. Embed our values in every position description for new roles from mid-April 2019 and through the organisational design tranches. Talk about values in your crew or team. What does living the values mean to you? What do you expect to see from each other? How can you incorporate them day to day? Celebrate that as a unified organisation we have delivered these values together. People are at the heart of everything we do and deliver. To best support and develop our people, work has commenced on the creation of our People Strategy, gathering the voices and perspectives of our people and stakeholders across 20 workshops, and with insight from our People Survey. Focusing our efforts around a clear set of strategic priorities, our strategy will help people understand how their unique talents and strengths connect to broader organisational and strategic priorities, as well as our organisational values and vision. 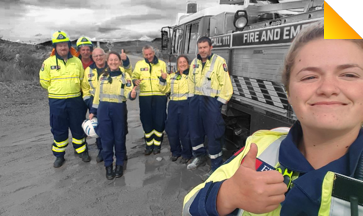 Our People Strategy will also shape how we deliver people practices and experiences in the future, including recruitment, learning and development, and reward and recognition, as part of making Fire and Emergency a great place to work and volunteer. 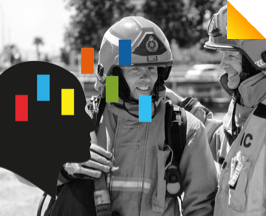 Two tools Fire and Emergency has invested in are Beacon, our crowdsourcing ideas platform and Mind Tools, an extensive repository of online learning resources focused on leadership, management and personal effectiveness. At a 2017 Volunteer Workshop, attending volunteers highlighted the need to have a place to submit ideas online and support our 14,000 people. Out of this idea came Beacon, our crowdsourcing platform and a way to harness the collective knowledge and ideas of our people. People can share their ideas on a current problem or post a ‘challenge’ the organisation is looking to solve. People can also suggest a topic that will become a future challenge, or they can suggest an idea for improving the way we do things at Fire and Emergency. Mind Tools provides access to reputable, digestable and on demand information to support and develop the capability of our people. Mind Tools can support the growth of all individuals and encourage them to continually develop themselves. Users can access information on improving decision making and remaining agile. This also strongly aligns with the Fire and Emergency’s leadership development work. We co-signed an agreement of shared commitment to safety, health and wellbeing with our unions and associations in July 2017. This was a signal that everyone in Fire and Emergency deserves the highest level of health, safety and wellbeing. our Safety, Health and Wellbeing Strategy, which identifies our top ten critical risks and how they can be best managed. safer management of contractors we engage, and who work alongside our people. Our leaders are accountable for their role in developing a respectful and inclusive workplace. Effective leadership is critical to establish and maintain the right environment. A workplace culture where bullying and harassment is not tolerated must have commitment from our leaders at all levels. We need to ensure our leaders have the support, capabilities, and training they need to live the Leadership Qualities Behaviours and Expectations required of them. Make sure our leaders know where they can find support and tools for managing issues in their teams while our policies and processes are designed and developed. Build awareness of what bullying and harassment is across our leadership teams while we develop a full training and education strategy. Establish a cross functional working group to develop a framework that supports leadership recruitment, development, training and education, and cultural competence. Continue our current leadership programmes and develop a network of leadership champions. Commence planning for training pilots within the Respect and Inclusion work programme. Leaders let us know your thoughts on the support you need when managing issues in your teams. Let us know your thoughts on what skills and capabilities are important for leaders. 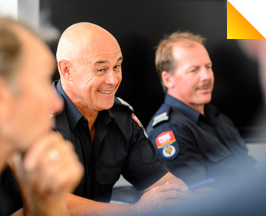 Over the past months, the Board and ELT have been working to develop a new long term strategy and strategic framework for Fire and Emergency. This includes an organisational vision, refreshed outcomes, strategic priorities, values and operating principles. Where possible, elements of this work has been developed in conjunction with our people, taking a co-design approach. Our long-term Strategy will set out our higher level direction for the coming decades. Five Strategic Priorities will underpin our strategy. These will reflect what we believe are most important to focus on now, so we are well placed to respond to the challenges of the future. We will be working with some of our people to seek feedback and input into the strategy, over the coming months. We will look to launch our new strategy in the second half of this year, and we will give full effect to our new Strategy as we refresh our 2017-2021 Statement of Intent in 2020. Having a single code for everyone means we all know what is expected of us individually and what we can expect of each other. Acceptance of and adherence to a single code of behaviour is an essential foundation to eliminating bullying and harassment from the workplace. We will align with the standards of state service agencies. We all need to understand and agree to what we are held accountable for. Confirm support from our unions and associations to a single code of behaviour for everyone. Ask our people what behaviours are important to them. Develop the single code, incorporating our values, behaviours, standards, and functions in the organisation, with input and review from our people, unions and associations. 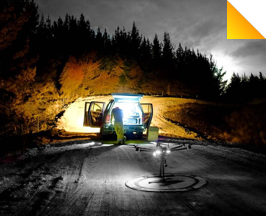 Explore our alignment with sector agencies and industrial brigades. Tell us what behaviours you would like to see in the code. Review the draft code and tell us what you think. Tell us what help, support, and training you might need to understand and adhere to the code. There’s a tight family connection at the Waimangaroa Brigade on the West Coast, and it started when an eleven-year-old volunteered as a cadet. When Carmen Greenland turned 11, her mum ‘gently’ suggested she needed an after-school job or hobby. 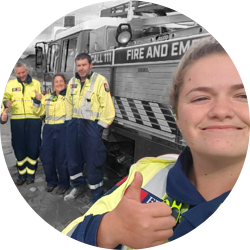 Straight away she joined the Waimangaroa Brigade as a Fire Cadet, where her aunt, Lynn Brooks, was already a volunteer. Today Carmen’s a Senior Fire Fighter, Lynn is Chief Fire Officer, Carmen’s mum Jeni is a Qualified Fire Fighter – and Lynn’s husband is now also on the team. In a small community, volunteering is critical and lending a helping hand runs deep in this family. “We’re a small community and when I joined, it looked like the brigade could close. We’ve lost our school and our pub, so this brigade has become a hub for the community,” says Lynn. While it may be a little unusual to have a mother, daughter and aunt team in a small brigade, all three are quick to point out that the whole brigade operates like a family. “We’re a really tight crew and we know each other well – our strengths and our weaknesses – so we jell together to make one really effective unit. You partner up with a strong person – and for me that’s often my daughter!” says Jeni. All agree that trust and dedication are critical in emergency situations, working together for a successful outcome. As Chief Fire Officer, Lynn is in total agreement with her niece. And when it comes to offering advice to anyone considering volunteering, all three women speak the same language. “Just do it!”. Our organisation-wide values will be launched in mid April 2019. Our initial engagement sessions developed a shortlist of values which were then internally consulted on in August/September 2018. Since then we have been reviewing the feedback, and look forward to launching our values in the next few weeks.